The June 2013 deadline to make the cuts proved an impossible one in an election year and a $7 million bail-out led to a new deadline of 1 April 2014 – and a revised savings target of $18.9 million within the next two years – that’s around $10 million in service cuts each year. In the fall of 2012, the Ministry of Transportation and Infrastructure conducted an extensive consultation and engagement process to increase public knowledge and solicit public input on the principles that would underline service adjustments, as well as strategies to support the Province’s vision of connecting communities in an affordable, efficient and sustainable manner. The Coastal Ferries Consultation and Engagement summary report was released in March 2013, summarizing the input received during the consultation. Senior ministry staff hosted 40 public consultation meetings in 30 communities, along with one webinar. More than 2,000 people attended the public meetings and almost 2,000 feedback forms and written submissions were received. The consultation material and the summary report can be viewed at coastalferriesengagement.ca. Government has reviewed the consultation feedback and is developing a plan to implement service adjustments and strategies to achieve the province’s vision of connecting coastal communities in an affordable, efficient and sustainable manner. The 2013 public engagement process will be an opportunity for the public to provide input on the service adjustment plan and other strategies before any specific changes are implemented. The high level of participation in the 2012 consultation and engagement process clearly shows the importance of the coastal ferry service. The 2013 public engagement process is expected to be controversial as it will deal with route- specific service adjustments and other measures to achieve the long-term vision. This public engagement program is expected to be large in scope in terms of meetings and participation levels as well as complexity and sensitivity of information, particularly to communities impacted by changes to ferry service. Make no mistake. This time the government means business. Ferry services up and down the coast are at risk and between now and the end of December, dozens – maybe hundreds – of ferry sailings could be earmarked for the chop in an attempt to shore up the widening gap between government support and operating costs. 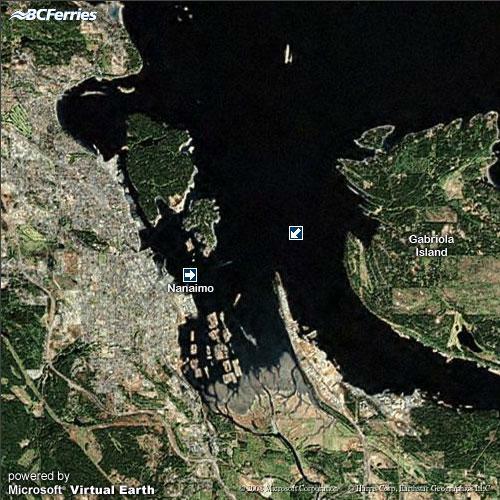 Gabriola is unlikely to escape unscathed. Every year, ferry users have dug deeper into their pockets to bridge the government’s funding shortfall and, not surprisingly, many have voted with their feet as businesses and island residents found the cost of ferry travel unaffordable. Now, with the government backed into a corner, can BC Ferries deliver against that savings target? And at what cost to life on Gabriola? Full details of any proposed changes to the Gabriola ferry service will be published here as they become available.